David Reynolds is Professor of International History and a Fellow of Christ's College. He studied at Cambridge and Harvard Universities and has been a regular visitor to the United States since first going there as a graduate student in 1973. He served for two academic years as Chairman of the Faculty of History in 2013-15. 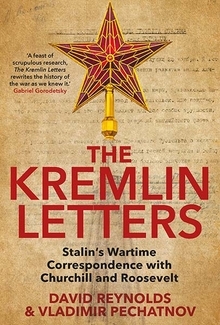 His most recent book is The Kremlin Letters: Stalin's Wartime Correspondence with Churchill and Roosevelt (Yale University Press, 2018 - see weblink above), on which he collaborated with Prof. Vladimir Pechatnov (MGIMO, Moscow). It prints the principal messages between the Big Three and sets them within a commentary that provides an analytical narrative of this triangular relationship throughout the war. The book is based on a wide array of material from Russian, British and American archives, and the research has been supported by grants from the Leverhulme Trust and the British Academy.